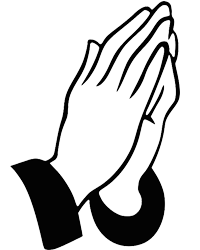 Graveside services will be at 3:00 pm Sunday April 7, 2019 at Mountain View Cemetery for Paul Edward Brittain, age 79, of Webster’s Chapel, who passed away on Friday April 5, 2019. Rev. Rodney McInnis will officiate. Glencoe-Hokes Bluff Funeral Home and Cemetery is in charge of services. Paul was a 1958 graduate of Alexandria High School. He drove a Spreader Truck for Cherokee Farmers CO-OP for close to 40 years as owner of the Spreader Company. He loved to restore old vehicles or tractors. He loved the Atlanta Braves and Auburn Football. He is preceded in death by his parents: Eddie and Izora Brittain. He is survived by his wife of 58 ½ years: Jan Brittain; children: Jeff (Lynne) Brittain and Karan (Dwayne) Angle; grandchildren: Jennifer (Justin) Hartley, Chris (Natasha) Brittain, and Nicole (Jacob) Harrelson; 2 great grandchildren: Hayden and Flynn; sisters: Wilma Duke, Dean Womble, and Clara Hill and several nieces and nephews. Honorary Pallbearers will be Miles and Janie Parris, Rodney Morrison and Ray Johnson.